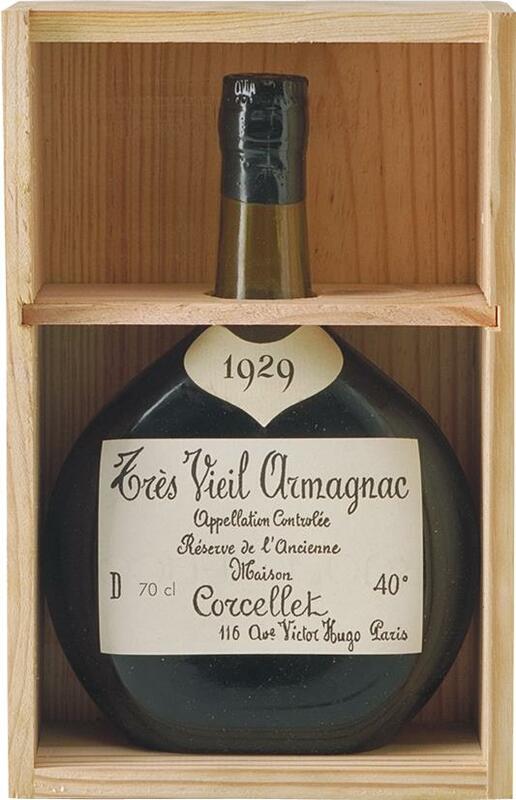 Armagnac is France's oldest and most prestigious wine-based eau-de-vie. In the 16th century, it was sold over the counter in pharmacies as a "medicine". Armagnac began to be aged in oak barrels in the 17th century. Nowadays, the Armagnac region can be divided into three production areas: Bas-Armagnac, Ténarèze and Haut-Armagnac. Unlike Cognac, Armagnac is comprised of a broad palette of grape varieties, each very different, allowing for a very particular aromatic balance: Bacco adds to the wine's structure and lends it full-bodied, rich and dense aromas that require long ageing processes to fully express their roundness, smoothness and length on the palate. Folle Blanche, on the other hand, provides freshness and fruitiness in the first years of ageing. Ugni Blanc, ideal for distilling, as well as Colombard, are the final names on the region's list of most common grape varieties. When aged for 15 years or more, Armagnac displays flavours of hazelnut, orange peel, cocoa, and prunes combined with aromas of rose, verbena, leather, vanilla and even cinnamon. These Armagnacs are very dense and rounded and fully express their soil. After 25 years, Armagnacs lose their potency and mellow. Their original character gives way to oak barrel fragrances and their length on the palate becomes truly remarkable.